I don't know about you, but I love to wear beanies and I hate when they are itchy ones. Wool beanies are great, but they fall into that itchy category that I can't stand. The company Flexfit/ Yupoong came out with these 100% non-allergenic acrylic beanies this year and they are amazing! 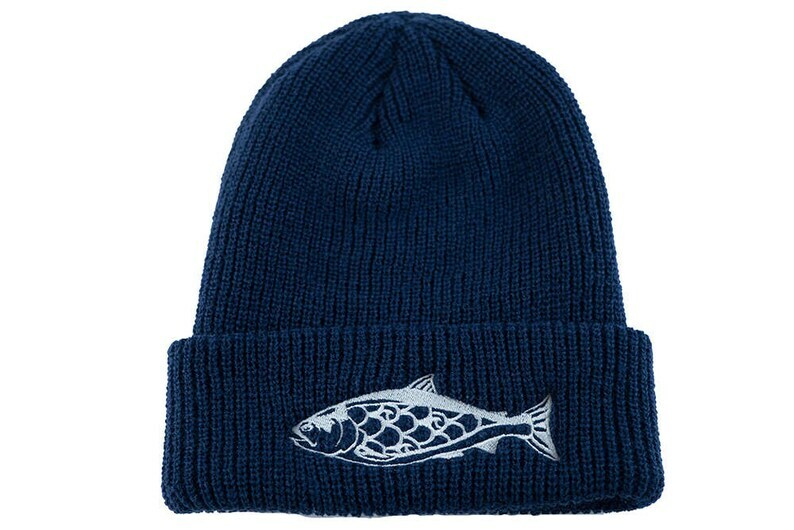 Throw in the classic uroko salmon design on there and you have a special piece of head ware that you will surely love. If you look closely at the salmon you can find breaking waves in the body. The hats are all embroidered by a local shop here in Santa Cruz, California. Always looking for unique gifts and this is perfect for my brother-in-law. Just as describe and super fast shipping!